The V301H "California" Continental Organ was covered in a dark gray levant pattern vinyl that Thomas Organ purchased from Joanna Western Mills in Chicago IL. The same levant pattern vinyl, although in a darker hue, was used on Thomas Vox amps from 1967 through 1970. Silver piping was used as a cosmetic accent and to eliminate visible seams in the vinyl. 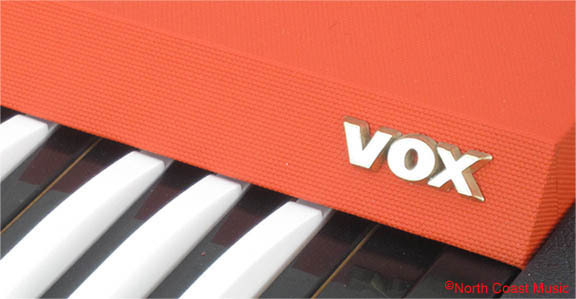 The orange vinyl used on the V301H Continental by Thomas Organ had a small "tweed' pattern.